REST API is the one of the web service in the magento C.E. Using this web service, developer can perform the request and receive the response. The below section describe about, how we can set the Rest API in magento C.E. Before going to configuration, first install the php extension oAuth in your server. 3. Add new consumer name in the Name field of the New Consumer page. Also we can see a disabled Key and Secret field, and we can copy that value to notepad. 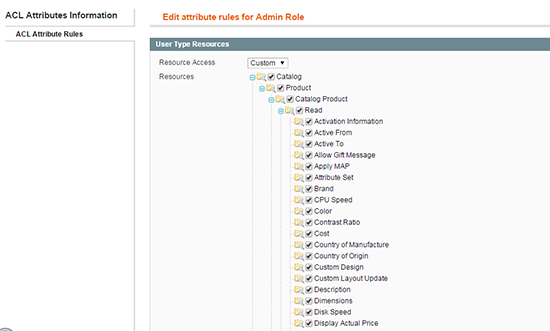 For getting the rest service, need to get the permission for user type, so we need to create the rest role. System -> Webservices ->REST Role. 1. Go to System -> Webservices ->REST Role. 4. 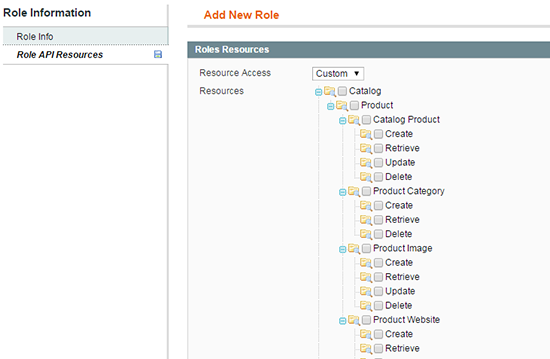 Then click on the “Role API resources” and select the resources. 5. Then click on the Save button in the right top corner. For configuring resource attribute, go to System -> Webservices ->REST – Attribute. 4. Select the newly created REST Role radio button and click on the save user button. Test with REST Client plug-in. 2. Enter the http://yourdomain.com/api/rest/products in the URL field and click on the “SEND” button. After complete this process check the above process again. Save the above code. When we call that file then list all the products in the xml format. Managing customers, managing products, list the sale order, managing inventory etc. This entry was posted in Magento Developer Notes. Bookmark the permalink.